As I assume most of us were last night, I sat Indian style in front of my television screen. I nodded my head and wiped my tears for an hour and a half, while I related to the stories that unfolded during the documentary “Dark Girls.” First let me start by saying how grateful I am to the OWN network for releasing such a raw wound for the world to recognize; not just as a cultural issue, but also as a global infestation of destructive and fatal thinking. These women were so courageous to share their pain with us viewers. I commend them. As an African American woman, I sat in front of my Television and let their pain resonate with me. I willingly took on the embarrassment of her being nicknamed “Tar Baby.” I embraced her as she shared wanting to bathe in bleach. I listened as we expressed why we loathed not only ourselves but also the culture we were born into. I bawled for us. Let this cycle come to an end. When I began modeling, I noticed the distasteful separation between browner tones and lighter complexions. In castings, there were distinct descriptions of what the clients were looking for. I remember one job that turned me down because the owner refused to use browner toned African Americans. His reasoning was he believed that brown complexions devalued brands and constricted them to only urban markets. He’s an African American business owner. I found myself believing that my talent would always be viewed a second class when a lighter skinned woman was near by. Secretly, I feared and envied lighter women because I believed that in my field of work, lighter women were more acceptable and profitable. I never disliked my complexion or my culture; it was the stigma that hovered over me because of it that I hated. I hated that people presumed they knew how I would respond to certain situations based on my skin tone. I hated being the affirmative action booking rather than a talented choice. 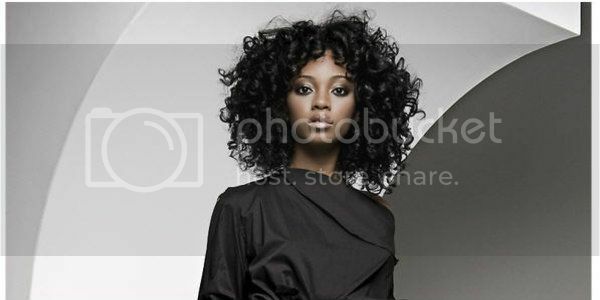 I hated that my natural hair needed to be straightened at certain events if I was to even think being seen as dignified. I hated feeling like I could not or should not be proud of my brown skin and my big bushy curls without someone, somewhere dissecting and demoralizing it. It is this old thinking that confines African American women to press our hair, hide our bodies or even bleach our skin. We believe we must do these things not from our own organic choice but so that we may feel we stand a chance in society without dire repercussions. We are constantly taught that whom we are is a distraction to the world’s contorted idea of beauty and intellect. However, we are so much more than the stereotypical boundaries that are set on beauty. We are powerful and limitless the moment we smile. Today, I do not allow the quality of my life and the depth of my joy to be determined by the color of my skin. As an African American woman, I accept the profound lineage that my complexion has descended from; so much so, that today I cannot and will not allow the tone of my skin to ever be compromised or dehumanized. It’s MY skin and I wouldn’t want to live in anyone else’s but my own. - Enoy every shade of your journey! Bre Scullark is a former contestant on America's Next Top Model. She can also be seen in many national advertisements. Visit her blog Sincerely, Flawed.